New data reveals the least and most affordable places to buy a home in Yorkshire. Sharon Dale reports. Harrogate is the least affordable place to buy a home in Yorkshire while Hull offers the best chance of getting on the property ladder and climbing it, according to the Office for National Statistics. The latest ONS data on home affordability in England and Wales shows that, on average, full-time workers paid an estimated 7.8 times their annual earnings for a home in 2018. In the Harrogate local authority area, which includes Ripon, Knaresborough, Pateley Bridge and Masham, buyers paid 10.13 times average earnings. In Hull, average house prices are only 4.36 times the average salary. The average house price in the Harrogate area is £277,208 while in Hull it is less than half that at £113,863. Ryedale, which includes the desirable market towns of Malton, Pickering and Helmsley, along with some of Yorkshire’s most stunning rural villages, is the second least affordable place to live with average house prices 9.32 times higher than average earnings. The average house price there is now £228,384. Malton is now a property hotspot thanks to the town’s renaissance as the “Food Capital of Yorkshire” and a growing realisation that it offers an enviable lifestyle. It has good amenities, easy access to the countryside and the coast and close proximity to the A64 plus rail links to York and Leeds. Hambleton, where the average house price is £231,056, was the third most expensive area with prices 9.09 times earnings. 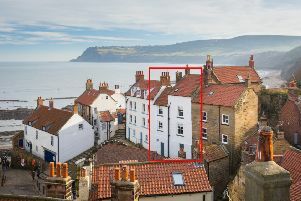 This location, which often features high on the UK’s best places to live surveys, takes in Thirsk, Bedale, Northallerton and Easingwold. 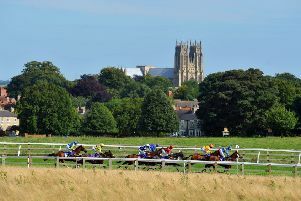 The area around Thirsk and Easingwold is said to be where many of those who are discreet, rather than showy, about their wealth choose to live. While vibrant Hull is the least expensive place to buy a home of your own, Doncaster is a close second with average prices 4.81 times average salary. Calderdale, which includes up-and-coming Halifax and Sowerby Bridge, along with cool and quirky Hebden Bridge, is the third most affordable with prices 5.07 times earnings. For details on affordability in all Yorkshire local authority areas, see the list below..
Housing affordability in England and Wales stayed at similar levels last year, following five years of decreasing affordability. The ONS data also shows that 77 local authorities became less affordable over the last five years and most of them were in London, the South East and the East of England. There were no local authorities in which affordability improved. The least expensive local authority areas in 2018 were in the North West, Wales and the East Midlands. Copeland in the North West remained the most affordable local authority in England and Wales in 2018, with average house prices at 2.5 times average annual earnings. Kensington and Chelsea remained the least affordable with average house prices at 44.5 times the average salary. While a new-build home should be maintenance free, at least for a while, and cheaper to run due to its energy efficiency, the ONS analysis shows that the average price of a newly-built property in 2018 was 9.6 times average annual earnings while the price of an existing home was 7.6 times the average salary. Over at the Halifax bank, research has revealed that mortgage affordability across the UK has remained at or just below the 30 per cent of average disposable earnings since 2009. Over the past decade, London average mortgage payments as a proportion of disposable earnings have risen by 18 per cent from 40 per cent in 2008 to 47 per cent today. This was driven by house price increases. Typical mortgage payments accounted for over a quarter of homeowners’ disposable income in 2018. This means mortgage affordability levels for home movers have improved significantly compared to the 39 per cent of income recorded in 2008. *ONS Housing affordability estimates are calculated by dividing house prices by annual earnings to create a ratio. Here are the statistics for the Yorkshire local authority areas, which show how many times the average salary it takes to buy the average home. Barnsley, 5.14; Bradford, 5.21; Calderdale 5.07; Hull 4.36; Craven 7.54; Doncaster 4.81; East Riding 6.64; Hambleton 9.09; Harrogate 10.13; Kirklees 5.75; Leeds 6.27; Richmondshire 7.61; Rotherham 5.38; Ryedale 9.32; Scarborough 6.57; Selby 6.64; Sheffield 5.7; Wakefield 5.54; York 8.86.